Muffins are definitely one of my favourite comfort foods. When I think of muffins I imagine a nice quite afternoon with freshly baked muffin and a bit of high quality speciality coffee I buy from Gourmet Coffee. 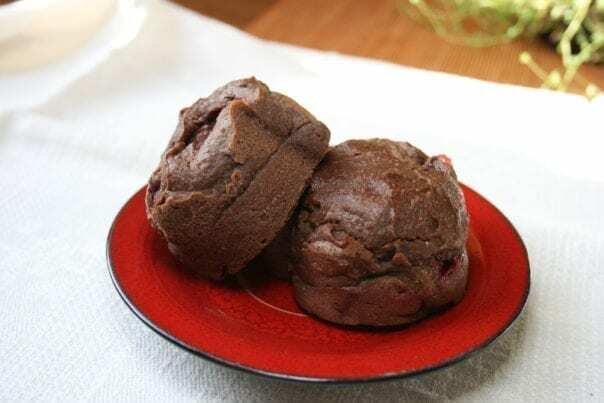 Usually I make totally oil-free muffins, but this recipe is a bit more festive and uses coconut oil which goes so well with cacao and carob. 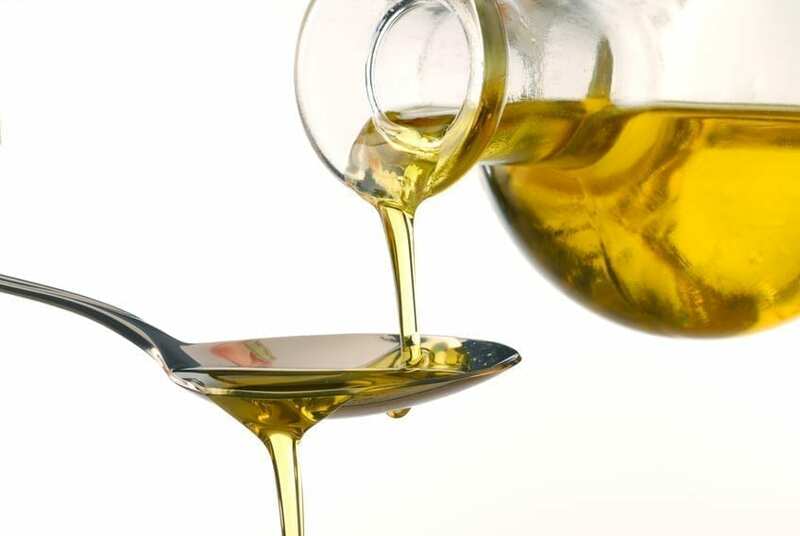 In a small bowl, cover the chopped dates with 250ml water and let soak for at least 15 minutes. 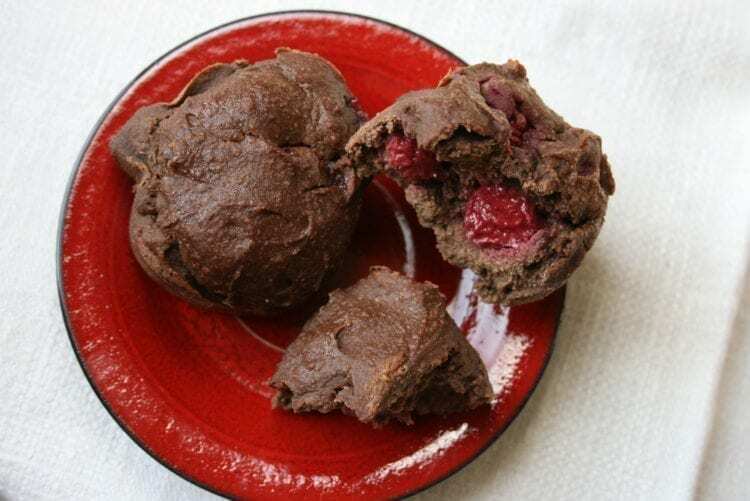 In a big bowl, mix together the flours, baking powder, carob powder, and cacao powder. Place the dates with the soak water, banana, and melted coconut oil into a blender and blend until smooth. Add apple sauce and blend again. Gently fold in the berries. Spoon the batter into a silicone muffin pan or parchment muffin papers in a metal pan. This recipe makes 12 big muffins. – make your own apple sauce – peal 4 small or 2 big apples and boil in a bit of water for 5 minutes. Let cool. – If you use tartrate baking powder (like I did), add 10 g to the dry ingredients. – If you do not have oat flour, you can just measure 155 g of oats and grind them into flour. – store the leftover muffins in freezer. Heat up in oven whenever needed.